THERE IS ONLY 1 KING, 1 CONQUEROR, 1 AUTHORITY AND POWER, AND THERE IS ONLY 1 TRUE LIGHT, THAT GLORIOUSLY OVERCOMES ALL DARKNESSES AND RULERS, AND FOR THIS NAME ONE FEARS: YESHUA HAMASIACH, JESUS CHRIST! Hello, welcome! On August 12th, 2013, the messenger angel of God brought on the following message of the almighty God, the God of Abraham, Isaac and Jacob, word for word, to God’s end-time Prophet Benjamin Cousijnsen. Shalom! I greet you in the almighty name of Yeshua HaMashiach, Jesus Christ. I am a messenger angel of God, and my name is Jereüseïr. 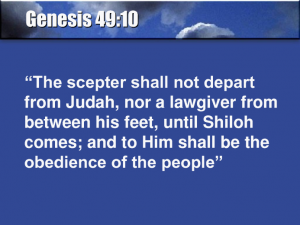 Read aloud: Genesis 49, verse 10 The scepter will not depart from Judah, Nor the ruler’s staff from between his feet, Until he comes to whom it belongs. To him will the obedience of the peoples be. Numbers 21, verse 17 to 20 Then sang Israel this song: Spring up, well; sing you to it: The well, which the princes dug, Which the nobles of the people dug, With the scepter, and with their poles. From the wilderness they traveled to Mattanah; and from Mattanah to Nahaliel; and from Nahaliel to Bamoth; and from Bamoth to the valley that is in the field of Moab, to the top of Pisgah, which looks down on the desert. And Ester 4, verse 11, spoke the messenger angel of God. There it is written: All the king’s servants, and the people of the king’s provinces, do know, that whoever, whether man or woman, shall come to the king into the inner court, who is not called, there is one law for him, that he be put to death, except those to whom the king shall hold out the golden scepter, that he may live… so far. Read aloud: Ester 5, verse 2 Here it is written: It was so, when the king saw Esther the queen standing in the court, that she obtained favor in his sight; and the king held out to Esther the golden scepter that was in his hand. So Esther drew near, and touched the top of the scepter. Psalm 23, verse 4 and 5 Here it is written: Even though I walk through the valley of the shadow of death, I will fear no evil, for you are with me. Your rod and your staff, they comfort me. You prepare a table before me in the presence of my enemies. You anoint my head with oil. My cup runs over. Psalm 110, verse 2 Here it is written: The LORD will send forth the rod of your strength out of Zion. Rule in the midst of your enemies. Psalm 125, verse 3 Here it is written: For the scepter of wickedness won’t remain over the allotment of the righteous; So that the righteous won’t use their hands to do evil. 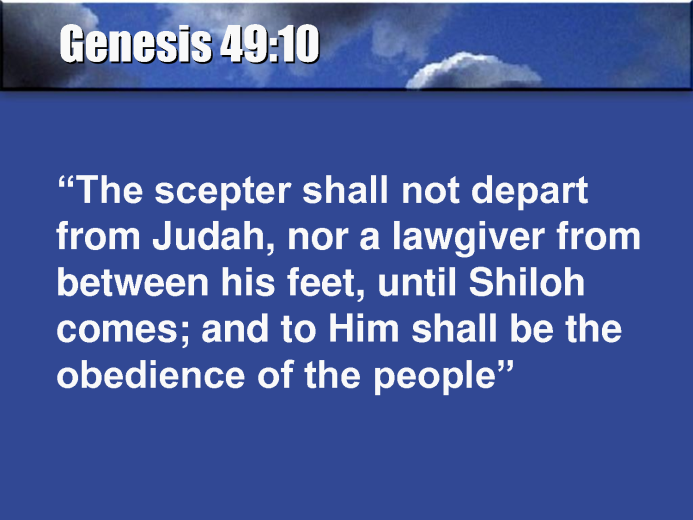 Verily, many kings had a scepter and idols, but their authority and power was broken! Read aloud: Jeremiah 48, verse 17 Here it is written: All you who are round about him, bemoan him, and all you who know his name; say, How is the strong staff broken, the beautiful rod! Verily, there is only one King, One Conqueror, one Authority and Power, and there is only one true Light, that gloriously overcomes all darknesses and rulers, and for this name one fears: Yeshua HaMashiach, Jesus Christ of Nazareth! Read aloud: Ezekiel 21, verse 24 to 27 Here it is written: Therefore thus says the Lord GOD: Because you have made your iniquity to be remembered, in that your transgressions are uncovered, so that in all your doings your sins do appear; because you have come to memory, you shall be taken with the hand. You, deadly wounded wicked one, the prince of Israel, whose day is come, in the time of the iniquity of the end, thus says the Lord GOD: Remove the turban, and take off the crown; this shall be no more the same; exalt that which is low, and abase that which is high. I will overturn, overturn, overturn it: this also shall be no more, until he come whose right it is; and I will give it him. Luke 1, verse 32 Here it is written: He will be great, and will be called the Son of the Most High. The Lord God will give him the throne of his father, David. Revelation 22, verse 15 to 16 Here it is written: Outside are the dogs, the sorcerers, the whoremongers, the murderers, the idolaters, and everyone who loves and practices falsehood. I, Jesus, have sent my angel to testify these things to you for the assemblies. I am the root and the offspring of David; the Bright and Morning Star. Jeremiah 33, verse 15 Here it is written: In those days, and at that time, will I cause a Branch of righteousness to grow up to David; and he shall execute justice and righteousness in the land. Revelation 12, verse 11 Here it is written: They overcame him because of the Lamb’s blood, and because of the word of their testimony. They didn’t love their life, even to death. 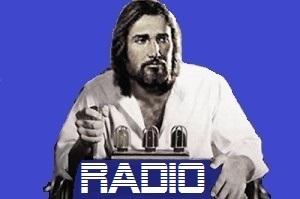 1 Corinthians 15, verse 24 and 25 Here it is written: Then the end comes, when he will deliver up the Kingdom to God, even the Father; when he will have abolished all rule and all authority and power. For he must reign until he has put all his enemies under his feet. John 3, verse 16 to 21 Here it is written: For God so loved the world, that he gave his only begotten Son, that whoever believes in him should not perish, but have eternal life. For God didn’t send his Son into the world to judge the world, but that the world should be saved through him. He who believes in him is not judged. He who doesn’t believe has been judged already, because he has not believed in the name of the only begotten Son of God. This is the judgment, that the light has come into the world, and men loved the darkness rather than the light; for their works were evil. For everyone who does evil hates the light, and doesn’t come to the light, lest his works would be exposed. But he who does the truth comes to the light, that his works may be revealed, that they have been done in God. Verily, be humble before the King of kings, who possesses all authority and power and glory. Every soul and authority will bow, or be trampled. I’m going now, Ruacha, Yeshu, Shalom! spoke the angel of the Lord, and disappeared. ⟵The dove returned each time!